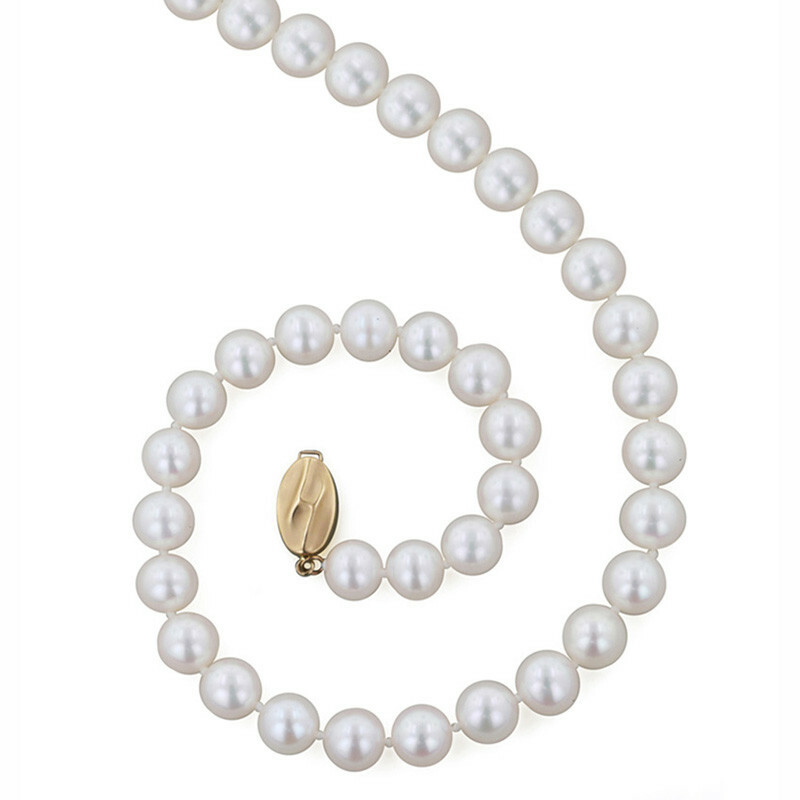 A cultured look starts with this 18" necklace of 9mm round white A+ grade freshwater cultured pearls from Honora! The lustrous piece of jewelry features a 14K yellow gold clasp to drape your nape in ever-stylish elegance. This classic Honora pearl necklace has a timeless appeal.